I’ve been following the rise and rise of 3D printing over the last year and a bit. The idea of of every home having its own 3d Printer to make all kinds of objects compelling. Imagine being able to make your own things – toys, utensils, car parts, iPhone cases, anything, with similar ease to how we print out a document now. That’s what the hype is promising and much more. Recently I read about a 3D printed dress, a 3D printed skull implant, and even a 3D printed house. I figured it was about time I went to find out what all the fuss was about. 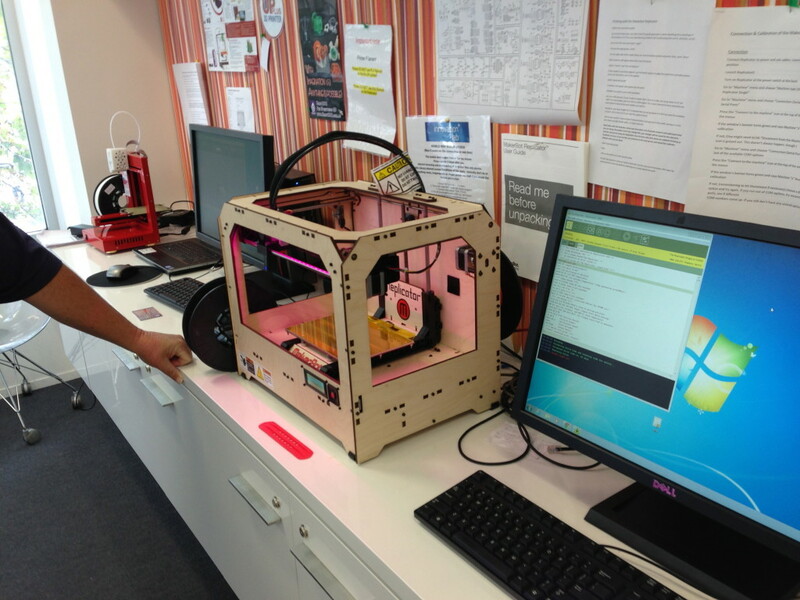 The Adelaide City Council’s Innovation Lab has two 3D Printers set up for the public come in and view. 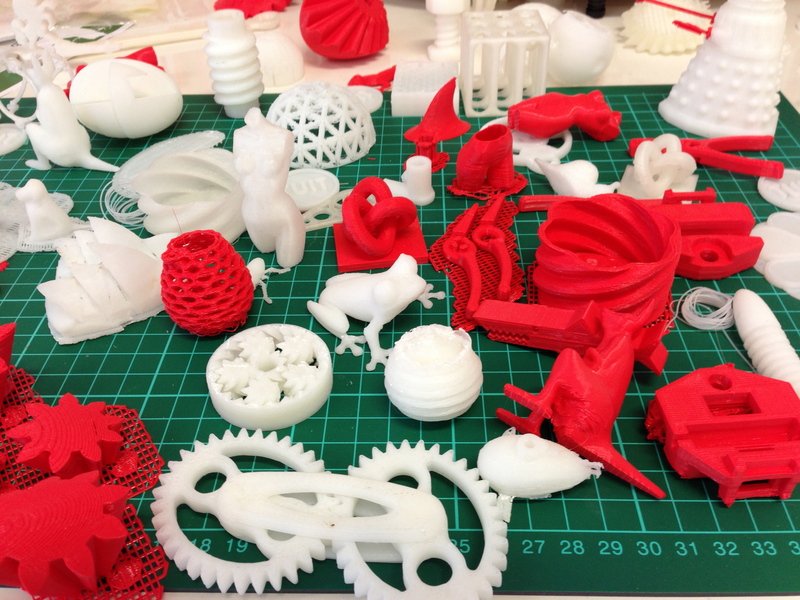 They also run hour and a half maker sessions where you get to familiarise yourself with the technology, possibly build yourself a 3d model, and then print it all with the help of knowledgable enthusiast volunteers (very early adopters!). In the above photo you can see the MakerBot Replicator, and then the little red printer in the background is the Up Plus unit from China. Some objects printed by the 3D Printers. One of the cooler things about 3D printed objects is that they can produce things that previously required complex manufacturing and then assembly, all in one hit, no assembly required. An example of this is objects with gears, or links of chain. So what’s the quality like? Well, it’s still early days. In some instances the quality is very impressive, and in others it is a little lacking. Objects often require a few attempts to get right. In the image below, you an see a print that worked next to a print that didn’t. 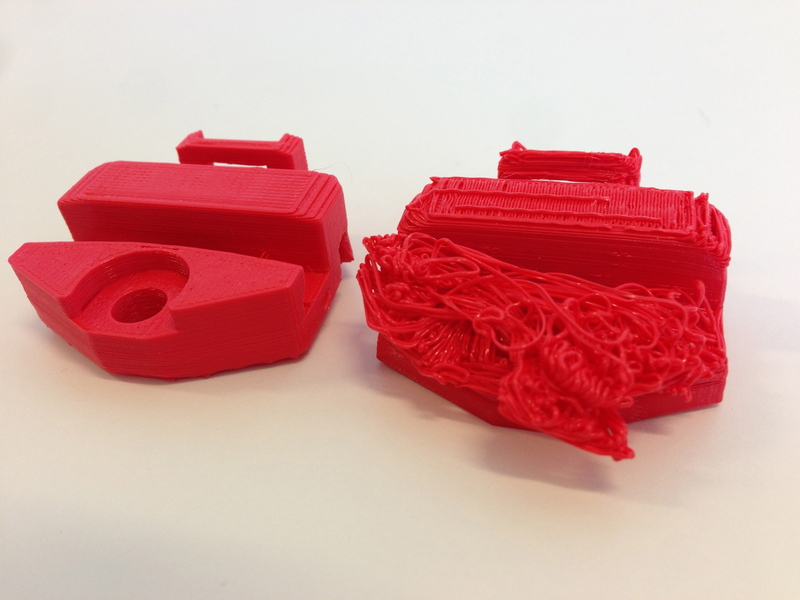 To use 3D Printers you don’t have to have 3d modelling experience (CAD or similar) but it would help. Objects can be downloaded from websites for free (or a low fee). How long did it take to print something? It’s probably no surprise that it’s a slow process. Objects can take well over an hour to print, but I reminded myself of how slow old school printers were, with their 9 pin dot matrix print head. It will improve and despite the small problems, I left the demonstration of 3D Printers wanting one in my home. Once the technology matures, it will change our lives. 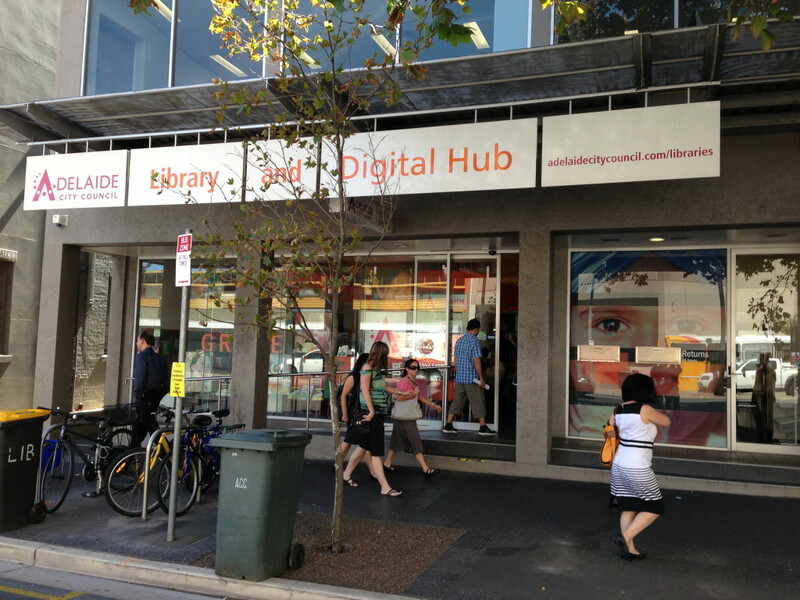 I think it’s great that the Adelaide City Council is supporting innovation in this way, and hope people get around it. 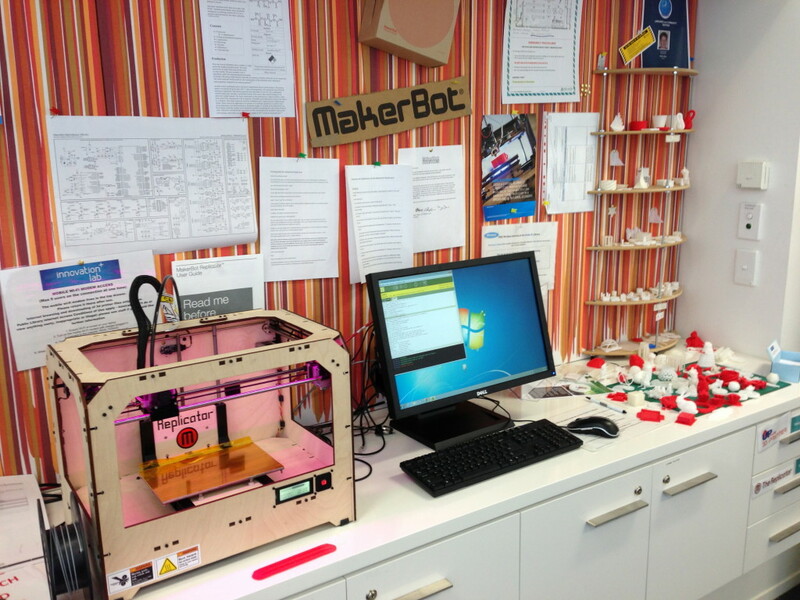 If you live in Adelaide, why not register for a free Maker Session at the Innovation Lab at 18 Hutt St, or visit during one of their drop-in sessions. You can register here. It’s more than worth your time. As always hit me up with comments below!